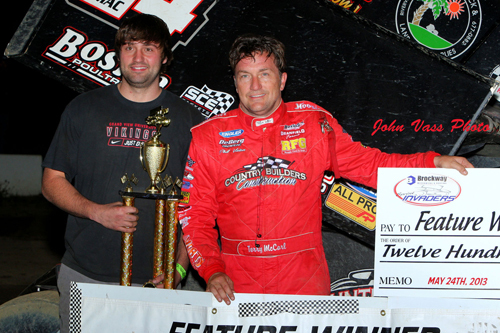 Terry McCarl is joined by his son Austin after winning the 25 lap Sprint Invader feature. 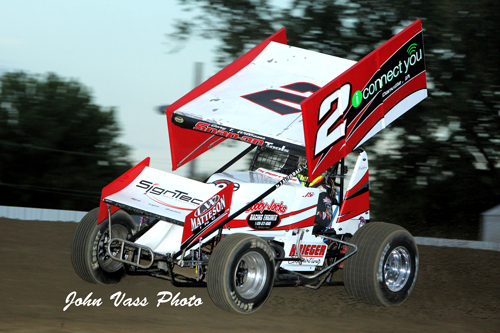 Jon Agan at work down the back chute at Independence. 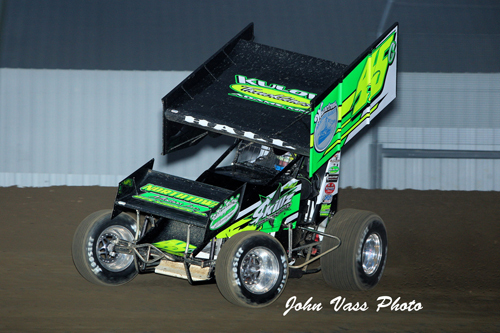 Josh Schneiderman at Independence Motor Speedway. 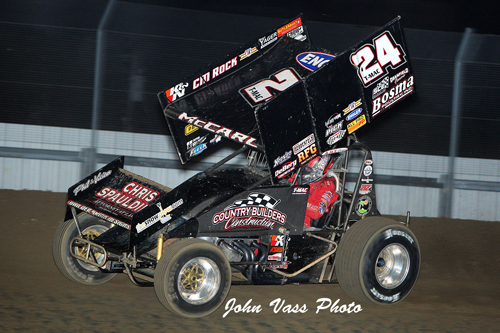 Kevin Pittman 1989 Super National winner showed off his 2013 ride at Indy. 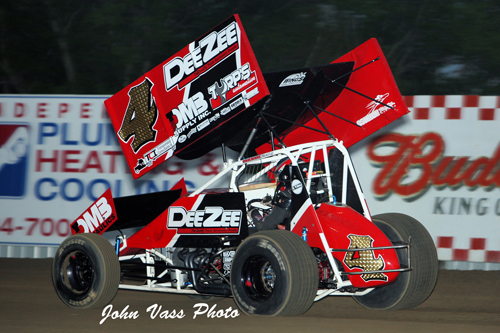 Nothing says Iowa more that a sprint car driven by Paul Nienhiser blasting by a grainery in the background. 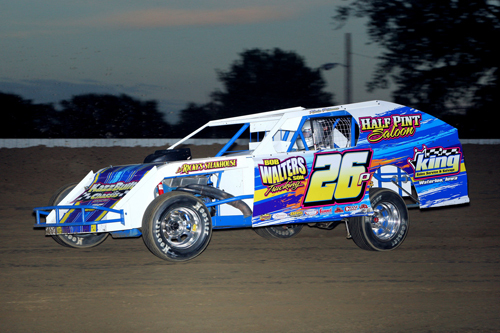 Russ Hall raced to a third place finish at Independence. 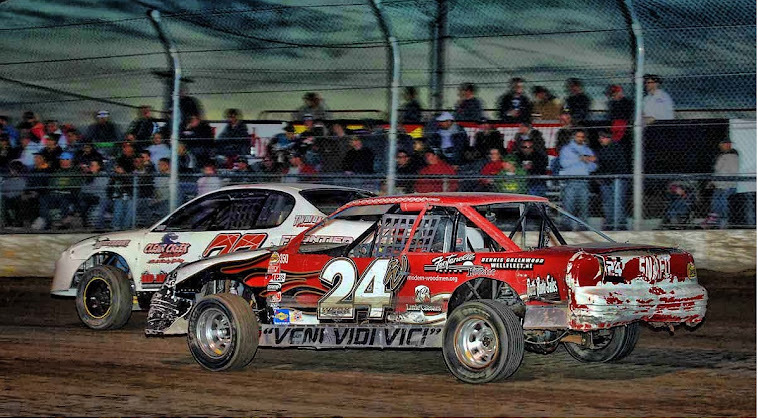 Terry McCarl showed everyone the fast way around Indy. 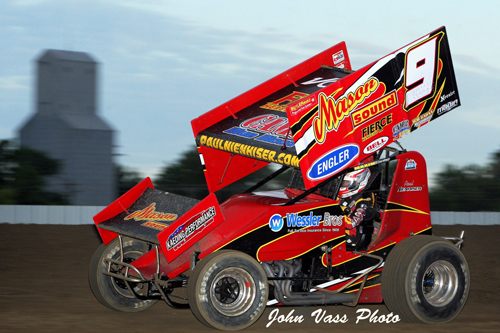 The Sprint Invader race was the first for winged sprints at the track in 16 years.